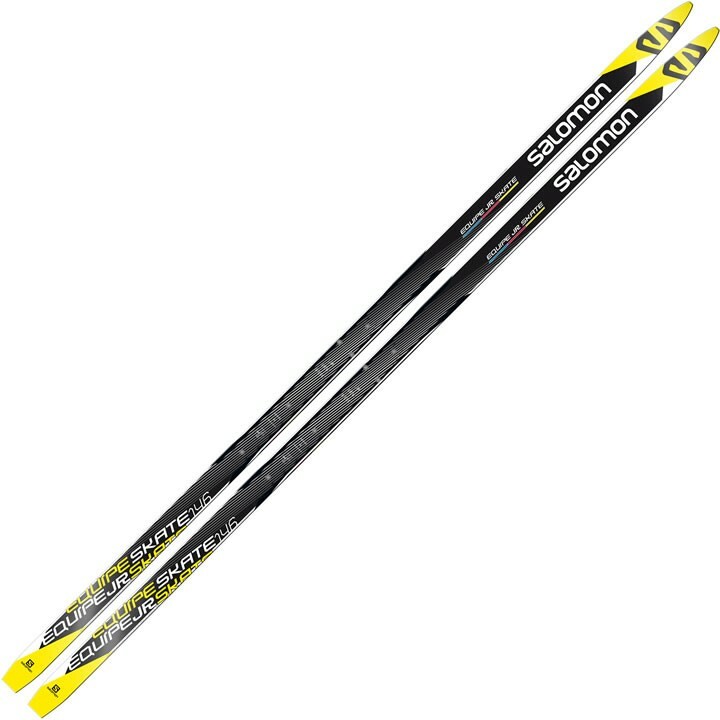 The Salomon Equipe Junior Skate Ski offers great performance and value for ambitious junior racers. The Equipe Junior works very well for both skating and classic styles, with camber for easy kick and rebound. Light cut makes skiing easy in both techniques, and G4 base in combination with the race universal grind generate acceleration and fast glide. Densolite 1000: Light and consistent core made with uni-directional fiberglass wrap and pre-shaped densolite foam. D2FC - Digital Dynamic Flex Control: Digital control of the molding press enables generating the optimal flex and camber for specific performance on snow. D2FC also ensures perfect ski pairing. G4 Base: Racing base with zeolit additive for better wax absorption and retention.